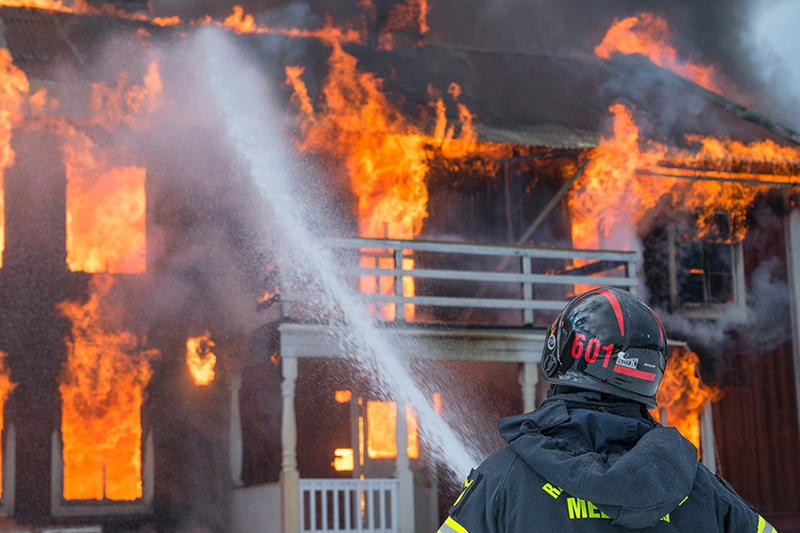 While fire engineering reports are designed in line with the NZBC with a view to saving lives, we often overlook the lives of the first responders who need to go into these buildings. No matter which association we subscribe to in NZ, we all have a code of conduct and a code of ethics to abide by. At a recent FPANZ members meeting, we were reminded of our responsibilities as members to abide by these codes. This had us revisiting our responsibilities as members of various industry representative bodies. There are numerous campaigns launched every year with the aim of drawing our attention to getting us all home safe each day. However, while fire engineering reports are designed in line with the NZBC with a view to saving lives (ie. getting people out of buildings within a specific time frame), we often overlook the lives of the first responders who need to go into these buildings. When advised that someone has not reported to the assembly point, firefighters are charged with re-entering the burning building to locate the missing person. Our duty of care is expected to extend to protecting the lives of these firefighters who are expected to work in an environment which has been vacated and deemed unsafe. If we as passive fire practitioners are to take our duty of care responsibilities seriously, we need to consider the codes of conduct and codes of ethics of the various associations we claim membership of. Here at Potter Interior Systems we have recently been made aware of the commercial realities of our obligations in respect to personal liability. The insurance industry would prefer to repair rather than replace assets. Taking this into consideration, building owners/operators are faced with the prospect of increased premiums in line with risk portfolios etc. if passive fire aspects are not upheld. Consider the insurer’s claim position in relation to smoke and water damage and consequential loss (eg. loss of income) as a result of a fire where passive fire installations were not adequate. Would our collective conscience in knowing we had a role to play in the prevention of this loss (not necessarily of lives), allow us to ignore our duty of care? Could this lead to us ignoring our obligations under the various codes of ethics we claim to abide by through our membership and accreditation as members of passive fire associations? Everyone in the passive fire industry must consider that one day we may be brought before a coroner to justify our role in the events leading up to a situation where there was a loss of life. Bear in mind the number of individuals that were in the initial phase of the investigation into the recent fire in London. On the balance of probability, it is only a matter of time before we in NZ are faced with an event that will give rise to a coroner’s inquest. In order to provide evidence that we have conducted our due diligence, we need to revisit our commitment to the values of the associations we are affiliated with. We must be satisfied that the passive fire products endorsed are compliant, while also being assured that we have performed our duty of care responsibilities — to each other (including firefighters going into their place of work) and the wider community. The firefighter or first responder who is going to work in a place evacuated by the community as being unsafe needs as much (if not more) consideration in our deliberations. In terms of the work and safety legislation in NZ, if it can be established that as a result of an act of negligence harm was caused to first responders or any other member of our community, criminal charges may follow. If we see anything that may cause harm to anyone present or in the future and we do not draw attention to the risk or non-compliance, then we may be considered to be complicit with the behaviour and consequently be seen to be condoning such unethical behaviour. We are the eyes and ears of our industry and we have an ethical (if not legal) responsibility to draw attention to the potential harm that may be caused by not performing our duty of care in a responsible manner. It may take a little time to verify or consult on a proposed passive fire solution but if we as an industry are to take our “duty of care” responsibilities seriously, we owe it to ourselves and to our community to perform at least a basic due diligence. Talk to Potters when doing schematic designs. FlexiCoat-MAK – the first fire rated coating with up to 50% flexibility after curing. Discuss all the passive fire protection options with us at Potters passive fire: malcolmc@potters.co.nz or 0272554186.